A discussion forum for FXGraphics2D (adds a Java2D API to the JavaFX Canvas). We are pleased to announce the availability of FXGraphics2D 1.0, an implementation of the Graphics2D API that targets a JavaFX Canvas. 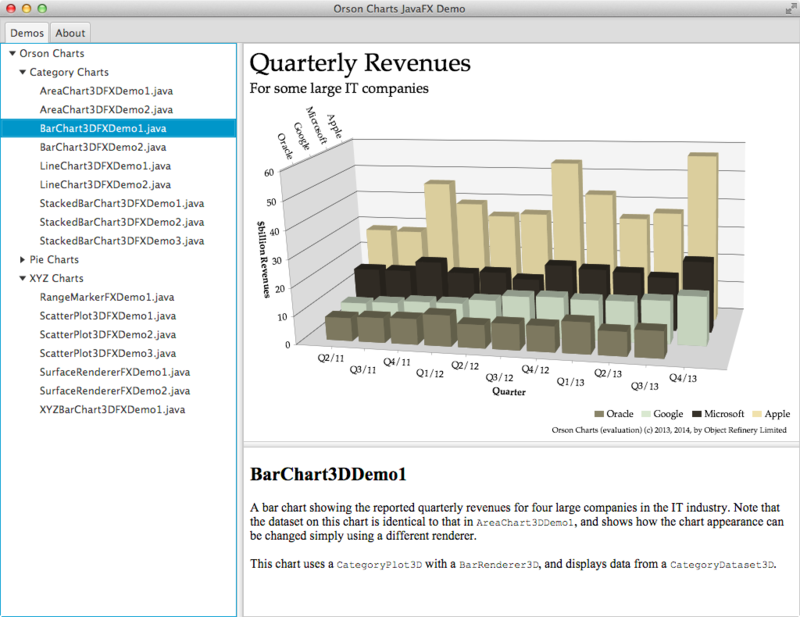 This library has been created to provide JavaFX support in Orson Charts and JFreeChart. We welcome all feedback. - add Maven support (pom.xml).